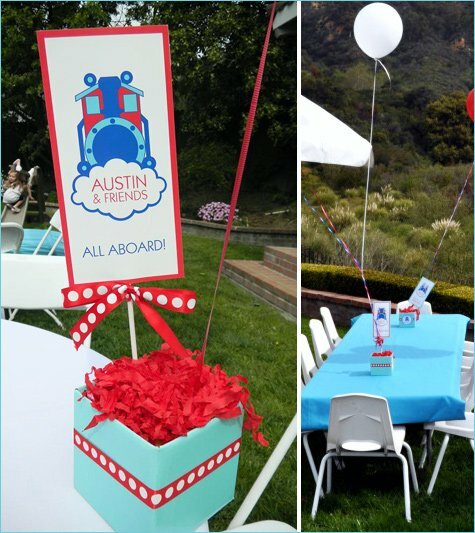 Melisa from the ultra-creative Little Apple Design and Project Nursery sent in this adorable party she created for her son’s 3rd birthday that features a Thomas the Train theme with a modern, updated twist. This is such a great example of how you can “style up” any sort of theme to fit your own personal taste! 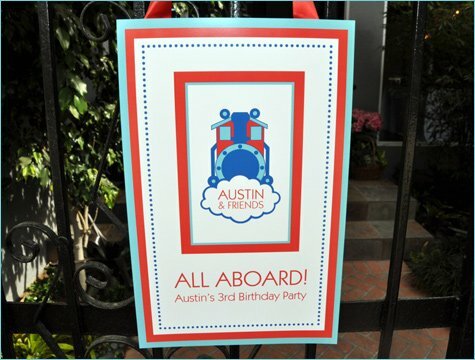 “My son Austin’s obsession with Thomas The Tank Engine is going on 2 years now and before he grows out of it, I just had to throw him a Thomas & Friends party! The decorator in me, however, couldn’t bare to use the commercial cartoon Thomas. Don’t get me wrong – he’s really cute – I just thought he could use an updated, modern twist. 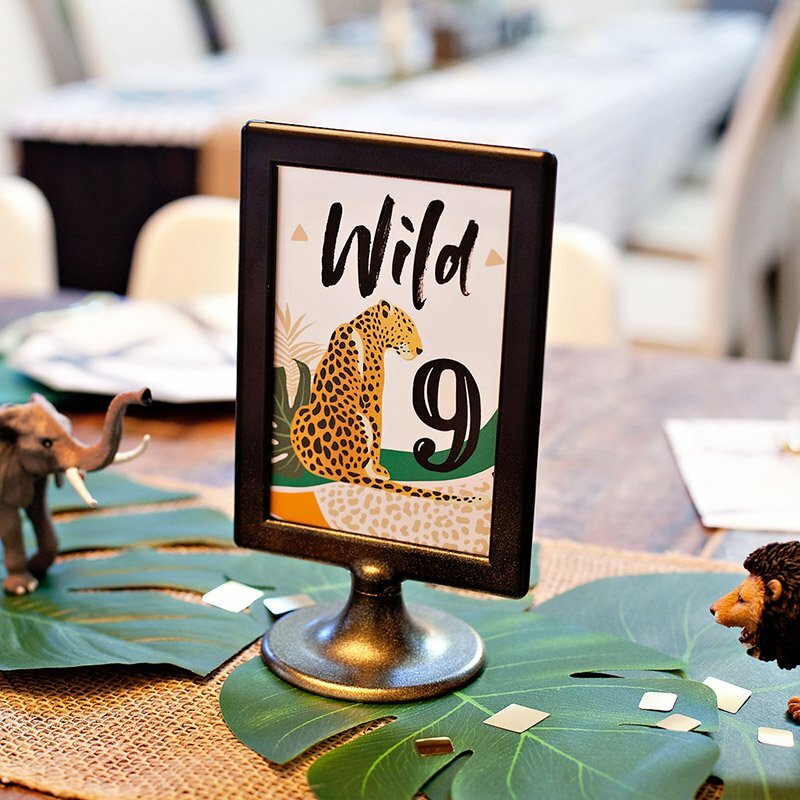 With a brand new baby, I really didn’t have the energy to creatively pull together a birthday bash, so I turned to my party inspiration board guru and contributor, Kelly from WH Hostess. She took my idea, ran with it and pulled together an AMAZING Modern Train inspiration board that I could follow in just a short amount of time. 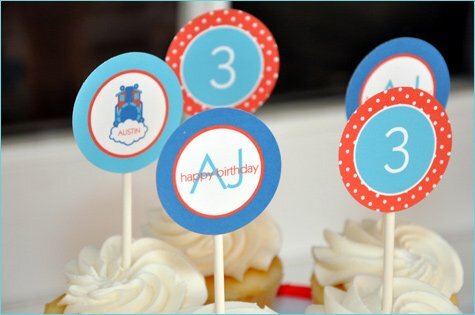 Kelly also created all the crafty party details – from logos to stickers to banners and much more. 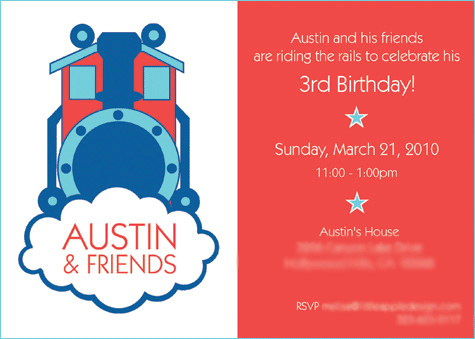 I set the tone of the party with custom paper invites for close friends and family and saved money with free personalized online invitations by Pingg for my son’s preschool class. 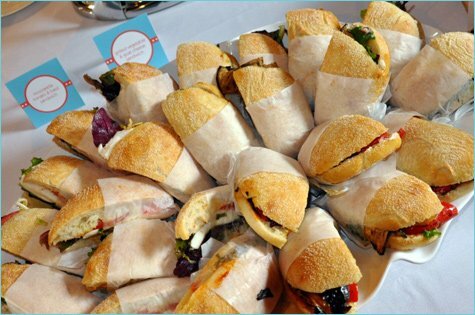 The menu consisted of gourmet sandwiches, crust-less cream cheese and jelly sandwiches for the kids, mac & cheese squares, Chinese chicken salad in takeout containers, logo cups filled with baby carrots, snow peas and individual hummus disks. Some of my favorite decorative touches included the use of 3 foot balloons for a modern statement and simple centerpieces that consisted of of eco-friendly blumebox vases, shredded tissue paper and clever signs on a stick. A major party hiccup was the sugar cookies from the bakery. 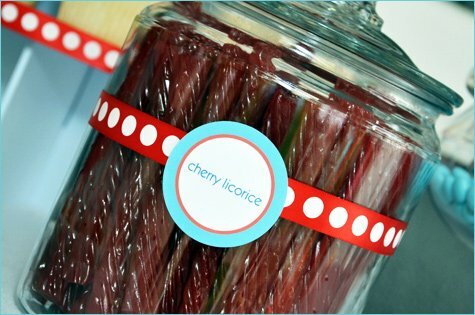 My husband picked them up the morning of the party and they looked absolutely awful! 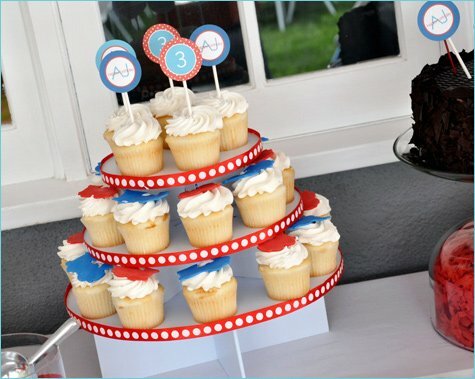 Thank goodness I took a cue from The TomKatStudio’s Blog and ordered fondant cupcake toppers from etsy shop Two Sugar Babies, which saved the day! Charynn did an incredible job of creating monogrammed fondant toppers and even a 3D train to spruce up my inexpensive yet tasty chocolate Costco cake – as requested by the birthday boy himself! The big hit of the party was the trackless train that rolled through the neighborhood. 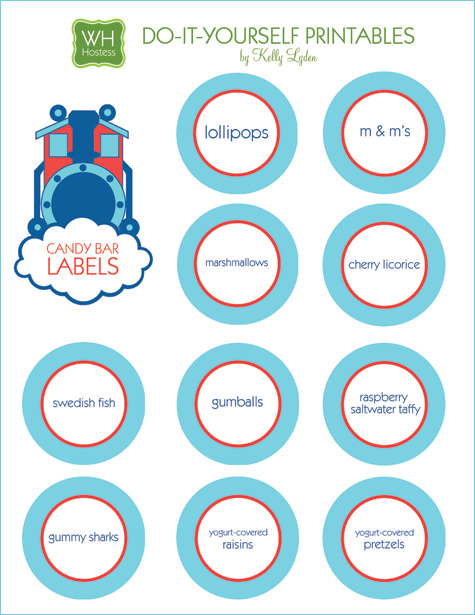 Thanks again to Melisa for sharing this party with us – and to Kelly for offering up free printables of her candy bar labels! Thanks for the LOVELY feature, Jenn! 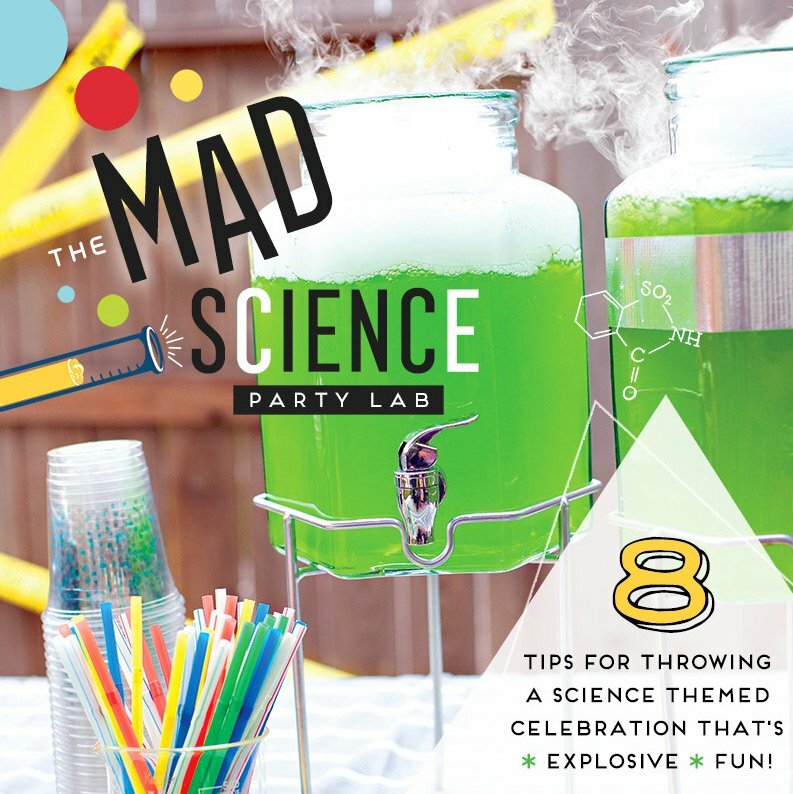 This was such a fun party to work on and Melisa did an amazing job pulling it all together! LOVE it! My friend Claire was at the party, she said it was the cutest!! I love this party, it’s amazing and the photography is incredible! LOVE it all. . . . the cute decor, yummy food and a TRAIN ride to boot!! Those kiddos must’ve been in birthday party heaven!! Wow Jenn What a great treat to see today on HWTM. Thanks so very much for sharing with your readers! Fabulous! Love the adaptation of the cartoon. Such a cute party. Great inspiration for any boy birthday. WOW! Fantastic party for a boy!!!! LOVE it! She is amazing!!! What a great post! 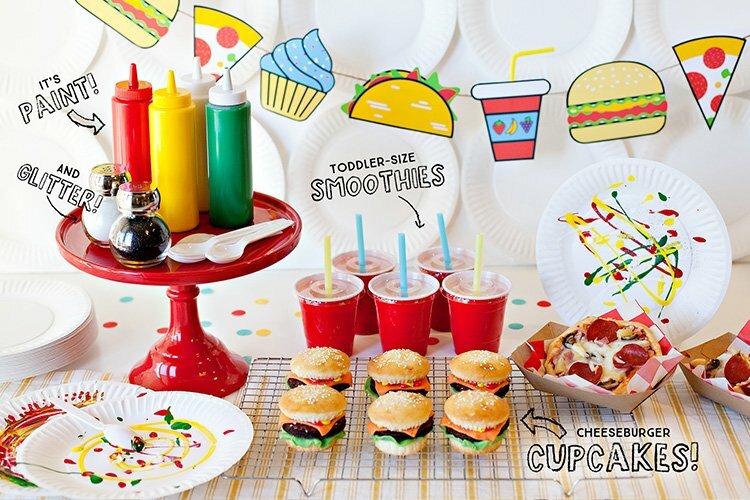 My son would absolutely love this for his birthday party! That train is amazing! I’m sure the birthday boy and all of his friends had such a fun time! Everything coordinated so well. 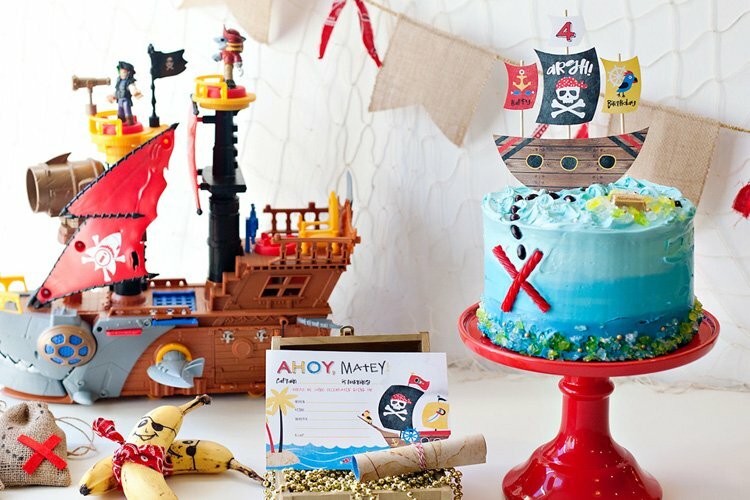 Any little guy would love this party! 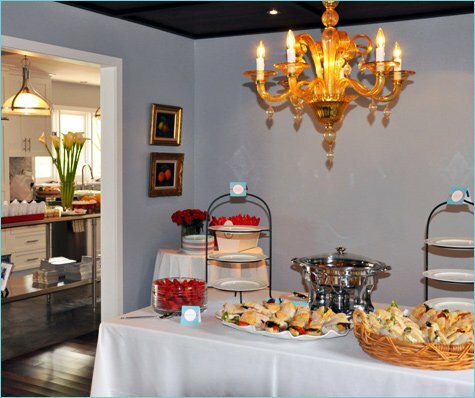 This is such a lovely party! 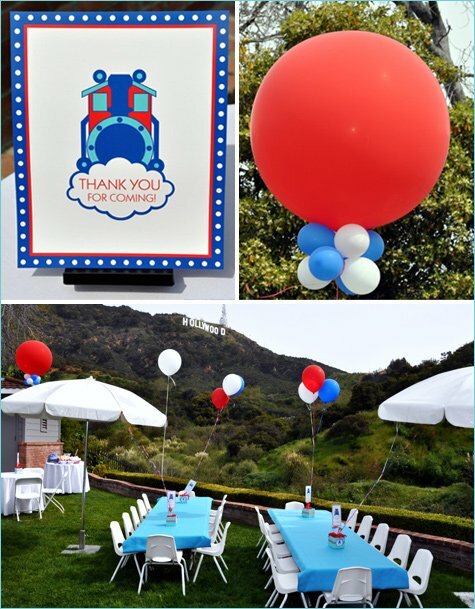 My son Loves Thomas as well so I can appreciate the design of your son’s party. Really cool. My son would also love to have that trackless train for his party. I love the twist on Thomas the Train idea. My son is turning 4 in two weeks and his party theme Thomas. 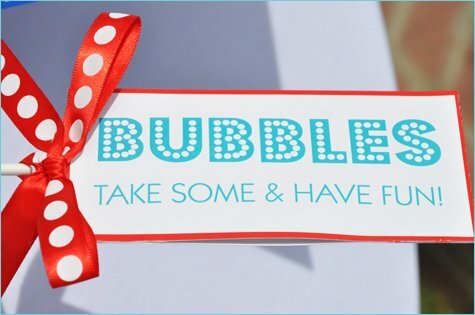 I already bought party favors, ballons, decorations and made my own invites yet I would like to make some of my own labels and banners. 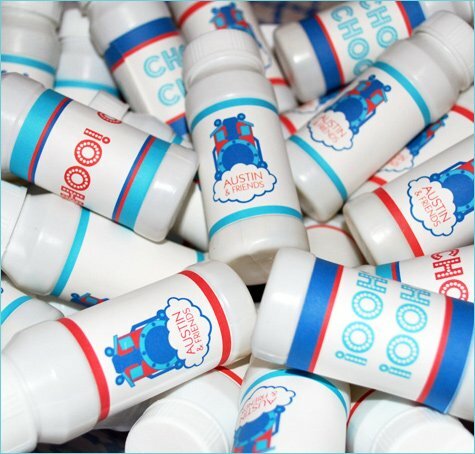 Could you suggest a do it yourself website where I can print and modify some basic designs seen on your blog? Hi there! Loved checking out your party! The menu sounded great…any recipes that you can post from it??? Thanks! Love the idea!!!!!!! Were can I find the cupcake tower?? I need to get some of those big balloons. Can someone tell me where to get those please? 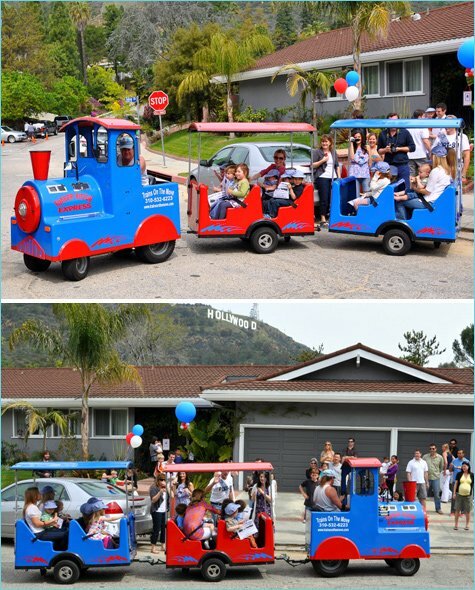 Great ideas, I had my son’s 2nd birthday party in March and we had a train theme. I could have really used your ideas back then! Love the bright colors! How do you use the printables? I tried to use the blank ones, but they are pdf. so I cannot add what I want to them. Any help would be greatly appreciated! Amazing stuff!! Love it all! I love this so much. 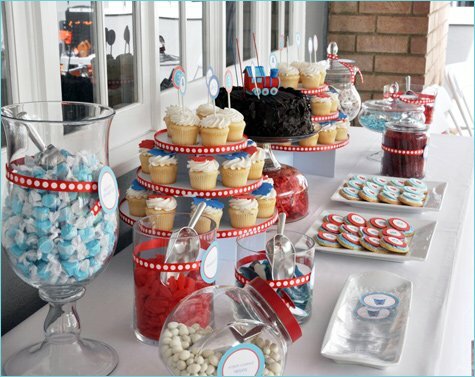 I’m having a red and light blue vintagey-themed party for my son’s third birthday in September, and this party inspires me! woww!! 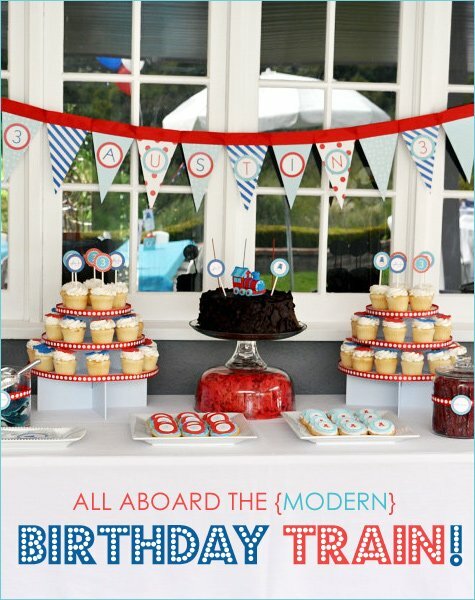 these are great ideas of modern train birthday party. LOVE the party! Where did you order the invites and banners from? Where can I get the printouts? I LOVE your taste! I am planning a train birthday party for my son on September 10th. He is turning one! I don’t want to use Thomas the Train character either, I want to make it so that everyone can enjoy the decor! 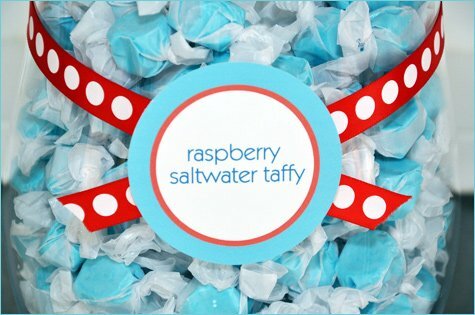 I love your ideas for the candy, all the colors, etc. 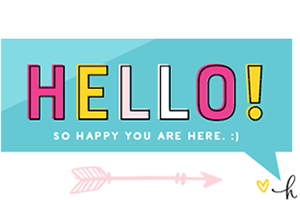 The colors go perfect for the invitations that I already ordered from Polkadot Design.com. I have one question, where can I maybe print the train photos that you have to match your labels?? I think I can pull it off if I had a train I could print and make signs with. Thanks so much for your help! 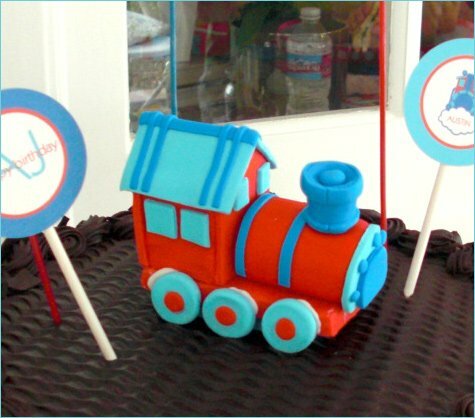 Hi, Your beautiful train party has been featured on best of the web thomas parties & cakes To grab your button go to the bottom of the post and copy and paste the html code onto your page. So much inspiration from this amazing little party! Thanks for sharing. 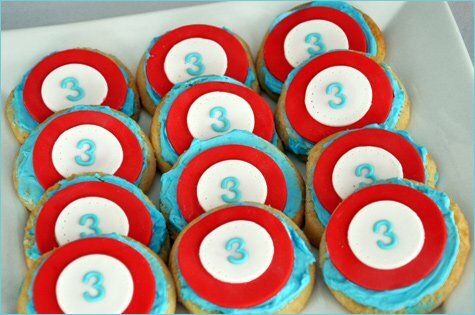 Your thomas party has been featured on BEST OF THE WEB THOMAS PARTIES CAKES AND FOOD check it out and grab a button here http://www.howtocookthat.net/public_html/best-of-the-web-thomas-the-tank-engine-parties-cakes-and-food/. 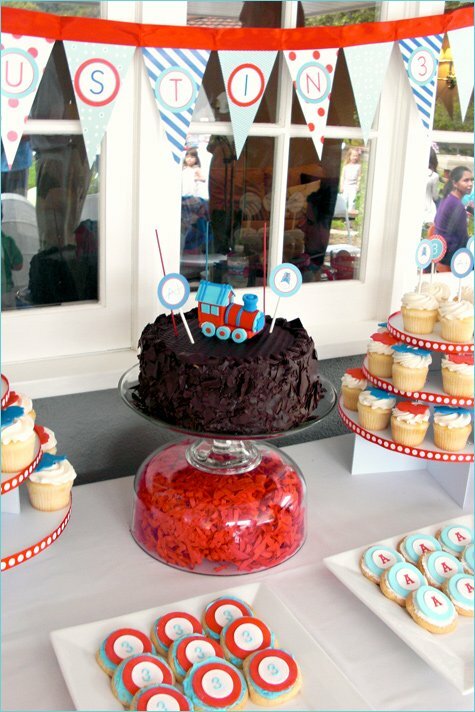 hi there, i was wondering where i could find the 3d train that you used as a topper for the modern train birthday cake? thanks. Thank you Jen for sharing your great ideas!